Now a days, it is a fashion to install R.O. (reverse osmosis) technology water purifiers at homes, offices and other workplaces and the use of cane water, said to be purified by R.O. process, is also increasing for marriage and other parties. But with this technology involving reduction in TDS (Total Dissolved Solids), some minerals useful for our health are also lost and the use of plastic in the process of purification and storage is also not safe. Consuming over purified water also reduces our immunity. So a critical review is required before adopting this system. You may read full article below. People and companies, selling R.O. technology water purifiers, usually say that R.O. water is safest for health and claim it to be of lowest TDS (Total Dissolved Solids) value when compared to normal drinking water. The R.O. water is often labelled as only purified water fit for drinking, and many times it intentionally mislabelled as “distilled using reverse osmosis”. It is how the R.O. water is sold, however, this is a lie. R.O. water is never the same as distilled. On the other hand with increase use of R.O. water we are making our young generation more prone to diseases by way of drastic reduction in their immunity standard. How you believe that water supplied in canes is pure water, it just your trust, no one is ever tried to check the quality of water supplied in canes by water sellers. Total Dissolved Solids (often abbreviated TDS) is a measure of the combined content of all inorganic and organic substances contained in a liquid in: molecular, ionized or micro-granular (colloidal sol) suspended form. Although TDS is not generally considered a primary pollutant (e.g. it is not deemed to be associated with health effects) it is used as an indication of aesthetic characteristics of drinking water and as an aggregate indicator of the presence of a broad array of chemical contaminants. Primary sources for TDS in receiving waters are agricultural and residential runoff, leaching of soil contamination and point source water pollution discharge from industrial or sewage treatment plants. The most common chemical constituents are calcium, phosphates, nitrates, sodium, potassium and chloride, which are found in nutrient runoff, general storm water runoff. More exotic and harmful elements of TDS are pesticides arising from surface runoff. Certain naturally occurring total dissolved solids arise from the weathering and dissolution of rocks and soils. TDS-value as such does not say which substances are in the water. Water may contain many harmless dissolved solids resulting in a high TDS-value but still being healthy water or it may contain little amounts of toxic substances resulting in a low TDS-value but causing severe problems to human health. That’s why in order to define the water quality only knowledge of TDS is least important. A simple meter that measures TDS (total dissolved solids) is not a good measure of purity, as it just gives a general measurement of solids in the water. It does not reflect the presence of toxins. A full analysis of several dozens of substances is required, but even then we may not get more than a 99% chance of knowing the risks contained in water. There are many other factors not being measured by a chemical analysis of drinking water. In the "highly developed" countries in middle or northern Europe TDS-values of under 200 are rarely found in tap water. Most of them are situated between 200 and 700, and 99 % of the population do not care about the TDS-value of their water nor do they waste a thought about reducing it. The United States has established a secondary water quality standard of 500 mg/l to provide for palatability of drinking water. R.O. involves passing water at high pressure through a plastic membrane with tiny holes in it. Most substances are too large to pass through the membrane and remain behind. Due to its fine membrane construction, reverse osmosis not only removes harmful contaminants that may be present in the water, it also strips many of the good, healthy minerals from the water. As the membrane and filters age, they often clog up, and the tiny holes in the membrane often become a little too large. This leads to even poorer water quality. R.O. units also usually contain carbon pre- and post-filters. The pre-filter extends the life of the membrane by removing larger particles and certain chemicals. The post-filter further purifies the water, removing chlorine and other gases that may pass through the filter. These must be changed every six months or less, or the water quality becomes even worse. a) R.O. filter produces extremely mineral-deficient water – This is a critical problem with it. Drinking R.O. water for any length of time greater than a month, perhaps, makes this situation worse, and the longer you drink it, the worse the problem becomes. Since most mineral particles (including sodium, calcium, magnesium, magnesium, and iron) are larger than water molecules, they are removed by the semi-permeable membrane of the R.O. system. Removing the naturally occurring minerals also leaves the water tasteless. Many people thus have to add mineral liquid to develop taste in water and many people take minerals tablets to compensate drinking of R.O. water as it lacks minerals and also it is contaminated with plastic from the R.O. membrane which in worst cases responsible for activating cancer cells in body. Thus R.O. filtered Water quality is extremely harmful and must be avoided. b) RO water, in general, does not hydrate the body well – The plastic membrane damages the water in some way. The result is a type of dehydration, even though a person is drinking plenty of water. It is confusing for people and confusing for practitioners as well. This is the “bottom line”, as they say. If drinking water does not hydrate the body well, it is no good, no matter how clean, clear, tasty or healthful it may appear. c) Toxins due to plastic – Plastic residue from the membrane always seems to find its way into the water and then into the body. This adds a toxin to the body, even though the water is quite pure in other ways. This plastic residue is far, far worse than the possible plastic residue that occurs due to buying water in plastic bottles. This is very important because many people drink R.O. water to avoid drinking plastic bottled water to avoid consumption of chemicals. d) Leaching minerals from the body – Drinking mineral-free water such as that of a R.O., or distilled water for more than a few months begins to leach vital minerals from the body. A type of chelation process, in which the mineral-free water tends to attach itself to some minerals present in body and flush them out of the body. This can be extremely dangerous, especially for today’s already malnourished bodies of kids. e) R.O. water is Acidic – R.O. users may be surprised and a little alarmed to find that their very clean water is “acidic”, it has a low pH. Neutral pH is defined as 7.00, but R.O. water typically shows a pH of between 5.00 and 6.00. pH 5.00 water is actually 100 times acidic than pH 7.00 water. It depends on the level of dissolved CO2 in the feed water. A lowering of pH can occur because the existing CO2 in the water, being a gas, passes through the membrane but the alkaline constituents, primarily HCO3 (bicarbonate), are removed as part of the reject water. Drinking low pH R.O. water could upset the pH balance of the body might be if someone drank ridiculously large amounts, and didn’t eat anything, and continued that for some time. Medical research has also determined that drinking acidic water (as well as other acidic beverages) will often cause a leaching of essential minerals, such as calcium and magnesium, from the body, especially from the bones and teeth, in order to neutralize the acidity. f) R.O filters alter spin and moment of water – The plastic R.O. membrane damages water, it is sure that it changes the spin and moment of the water passing through the filter media. There is always a possibility that deuterium particles (heavy water) pass through the membrane easily. Lighter water that is bound to contaminants is stopped. The effect may be to increase the weight of the water, an undesirable change. g) Carbon filters in R.O. systems can harbour many bacteria and viruses – Manufacturers suggest replacing the carbon filters at specified intervals or after a certain number of liters have been produced. However, these are just averages. Other than the taste, it is most difficult to assess the cleanliness of the carbon filters attached to R.O. unit. h) Continuous use of R.O. water increases chances of heart /cardiac arrest – The findings of a six-year study of more than 20,000 healthy men and women aged 38-100 in the May 1, 2002 American Journal of Epidemiology found that women who drank more than five glasses of water a day were 41% less likely to die from a heart attack during the study period than those who drank less than two glasses. The protective effect of water was even greater in men. There is an increasing body of evidence that drinking elevated concentrations of certain minerals in water may reduce the risk of cardiac death and, in particular, the risk of sudden cardiac death. Recent interest has focused on deficits in dietary magnesium. In developed countries, these deficits are potentially compounded by use of R.O. filters to purify water which in process eliminates essential minerals. To minimize heart disease risk, the ideal water should contain sufficient calcium and magnesium to be moderately hard. To elders there is also concern that increased use of calcium supplements to prevent osteoporosis may alter the ratio of calcium to magnesium intake, further exacerbating the deficiency in magnesium intake may increase risk of cardiac arrest. A relatively major problem with R.O. is that discarded R.O. water, named as R.O. waste, which is nearly 50% – 70% of total water fed to R.O. flows as waste. It is having very high TDS value and is passed to drains which ultimately pollute the ground water aquifers. Can we afford to waste this much of water in to the drains which is ultimately going to pollute underground aquifers? This is more important in a country like India where we are experiencing shortage of drinking water in almost all cities and towns. A relatively minor problem with R.O. is that discarded plastic R.O. membranes pollute the landfills. The polycarbonate plastics degrade very slowly. Filled with toxic substances, they represent as source of long-term pollution. Investing in expensive and environment non-friendly technology like reverse osmosis R.O. or distilling should only be undertaken if the water is extremely "hard", salty or tasting bad. We should not care too much about physics and chemistry and learn more to trust our feelings about water. There is no simple way to test the quality of the water. We should avoid drinking reverse osmosis (R.O.) filtered water. It is not that pure and healthy as we think and see because it always contains residues of the plastic polycarbonate or other membrane through which the water passes through and it is mineral deficient. A simple and cheap sand/charcoal filter can work fine in most applications. If it is absolutely felt that there is a need to reduce the TDS-value, some other better and cheaper options like mixing high TDS value water with tap or collected rain water or using solar technology like SODIS – which uses Nature’s energy and requires just placing the water bottles in sun for about four hours to clean water is considered best. Some people are aware that R.O. 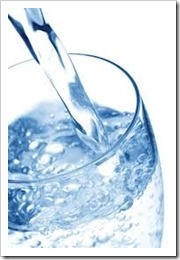 water lacks minerals, so they add salt, potassium, electrolytes or other mineral preparations to the water. This is also dangerous and stupid. The reasons for this are: It is hard to know which minerals to be added and salt is among the worst thing to add. 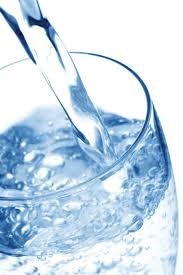 Adding minerals to drinking water should also be avoided as this often worsens the product. The problem is that minerals in water are complex, and just adding a solution usually does not produce a balanced and healthy. a) The filters and membranes should be periodically changed as directed by the manufacturer. b) The plastic body should be regularly cleaned. c) R. O. water, if not used for few days should not be used for drinking. d) If the users are going out on a trip for more then two weeks time then, the container of the filtration system that contains the R.O. membrane should be taken out, folded in plastic rapper and should be placed in a fridge. If A R.O. filter is already installed, the best way is to by pass the R.O. membrane on a home water filtering system. This will allow for carbon filtration which is fine. It is fairly easy to by-pass the R.O. part of filtering system, in most cases. The procedure is to open up the cylinder or container of filtration system that contains the R.O. membrane. Then the R.O. membrane is to be removed and the container is to be closed tightly. In most cases, this is all to be done. An alternative method is to remove the small tubes or pipes going to the R.O. membrane container and simply bypassing the R.O. part by re-connecting the tubes in a different way. Either of these methods should work okay. We are mostly using the cane water supplied by local water sellers, such water suppliers are drawing water from bore well and may or may not be processing it for removal of impurities but after getting it chilled, they fill in the canes and how many of them properly wash the canes & take proper precautions while filling of canes and observe the approved water quality standards fixed by authority. May be many of them are not aware of such standards, even though we are drinking the water supplied by them after paying the abnormal high cost of water. Can we proclaim to stress them for observing proper quality assurance? As Reverse osmosis water is nearly mineral free and rarely hydrates the body adequately so it should be voided for drinking and even for cooking. Alternatively SODIS Technique or simple Carbon-filtered tap water should be used for long-term drinking water needs. A carbon block filter is better than a simple carbon filter such as that found in a normal Aqua guard, Usha Brita filter, Tata – swacch ,Pure-it and other similar filters and even filters combined with UV technology are best for use in home. This entry was posted in ENGLISH SECTION (अंग्रेज़ी प्रभाग), Home Tips, Technical Articles, Water Management and tagged disadvantages of R. O. Water, drinking water, R. O., reverse osmosis. Bookmark the permalink. Ultrafiltration (UF) technology is widely used in the industry & not so suitable for in house drinking water purification, as UF system requires frequent cleaning, and that UF feed water should meet the design requirements. UF systems usually remove particulate and microbial contaminants, but it does not remove ions and small molecules. If the equipment is down for more than two days bacterial fouling usually occurs requiring cleaning also during shut down, the UF membrane should always keep moist otherwise membrane components will be irreversibly damaged after drying. This process has concerns with high cost , high water pressures , electrical concerns, & requires alert handling therefore are not generally used to filter drinking water. Thank you for your detailed report on the RO process. Isn’t this is the system that is being aggressively marketed using Hema Malini as a brand Ambassador? I was considering it but after reading your report I will keep it in abeyance. For the past decade or so, I have been using Aqua Guard of Eureka Forbes for my drinking water requirements and we have not faced any problem. I have a maintenace contract and the filters are changed every six months. For the past few years I have been visiting the USA frequently. Each time, I return from the USA (about six months stay each time) I would boil all water before drinking for the first week or so as a precaution, before slowly resuming the consumption of Aqua Guard Water. This was due to my fear that I may have lost my immunity from too long a stay in an “overclean” place. During my childhood, we drank water stored in Earthern Pots (matka) and nothing happened! We also drank from public taps without worrying. In the nineties, I never thought that people will pay Rs 10 for a bottle of water. Thanks once again for an informative article. Is Aquaguard of eureka Forbes is the better option? When you drink water it hits the stomach, which is full of .. yes thats right, acid! In any case, do you care to quote this ‘medical research’? The title of this page says no to using bottles. Are you aware that the SODIS method advocates using PET bottles? I am using local make RO for last 1+ year and I observed that we I, my wife and daughter are having stomach related problems for quite long time, which was not there before it. I and my wife is having continuous problem and get ill many times. I am going to change it, please suggest for which filer I should go. 1. As suggested above, should I remove the filter membrane. 2. Also having Pure It- can I use it after changing the filer. Thanks for the life changing Article. we do not suggest any particular brand. This is up to you.